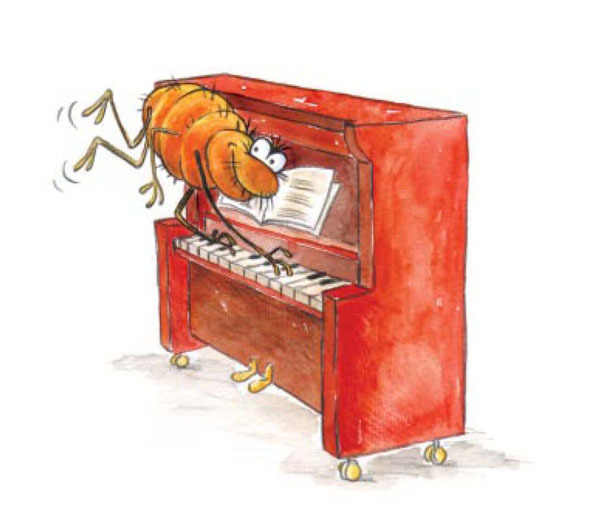 This flea playing the piano was one of about 20 illustrations done for IMP. These were done a while back now, but I liked the challenge of working in a new style. The look for these was already established by another artist, but the publisher needed more added to the series showing the characters in new poses with musical instruments.